David Gordon Green’s dark indie drama Joe is definitely one of my films of the year thus far. A gripping mix of friendship, violence and redemption erupts in the Southern part of America in this adaptation of Larry Brown’s novel, Joe brings Academy Award winner Nicolas Cage in the title role as the hard-living, hot-tempered, ex-con Joe Ransom, who meets young Gary (Tye Sheridan) who offers him and, on some other level, terrible fathers everywhere a chance at patriarchal redemption. Green’s direction brings some raw authenticity and he covers the location in a forceful dire socio economic overtone. This unique style is apparently right in his lane and the only other film of his I have seen is the stoner comedy Pineapple Express so I haven’t got the chance to appreciate him in his indie element, I hope to though. The performances and the relationship between Cage and Sheridan really drive the story with the young up and coming star Tye Sheridan from Mud doing his bit as a young persistent hard working boy thrust into adulthood way too early and Nick Cage whose performance reminded me of Casey Affleck in Out of the Furnace. Cage brings a welcome nuance to the role with him showing concern and affection to young Gary on one hand and launching into a stupor of prostitution and booze on the other. As good as he was though, Cage’s showing here probably means there are five or six terrible films in the offing so, not too thrilled. Although the narrative mainly follows the friendship between our two protagonists, the highlight for me was the showing of 56 year old Gary Poulter. Most of my admiration for his performance came after the fact when doing some reading on the film, I found out he was a Homeless man in his first acting gig. It’s almost nay surely absurd that a role that pivotal to the story and the other actors be given to a man with not only no acting experience at this level but also a man straight off the streets. 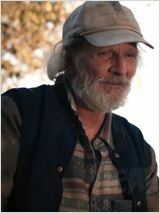 Poulter plays the role of Gary’s father, Wade, and is a true incarnation of evil. I would liken him to Captain Vidal in Pans Labyrinth but Vidal will only ever exist in Del Toro’s tale, Wade is probably a walking nightmare in many homes today. Wade is a debauched character who is by far the worst father I have seen on screen. He is a bum and a drunk if I ever saw one He has basically handed over the breadwinning duties and household upkeep to his son. He subsequently beats his son for his hard earned wages for booze of course and pimps out his own daughter for you guessed it, booze money. I remember thinking this was probably the real life evil version of Frank Gallagher, truly despicable. You know his vileness has rubbed off on you when you see him bash in a man’s skull for a bottle of alcohol and not an iota of disbelief accompanies that venomous scene. It is a truly harrowing portrayal of cruelty and pure evil from an actor you’ve never seen before and sadly will never see again. Poulter died early last year and it appears the demons he so effectively embodied on screen were a mainstay of his real life. Poulter had struggled with substance abuse for most of his life and drugs and alcohol had undermined all meaningful progress he had tried to make in life. He had spent some time in jail and then some time working for a traveling carnival until he was caught stealing from the show, beaten up, and left on the road no money. It’s a real tragedy Poulter couldn’t find a way to overcome his real-life demons. It’s a testament to Green’s gifts that he milked out one of the most astonishing performances I have seen. Poulter wasn’t around to bask in the acclaim that he earned and Green has rightfully dedicated the film to Poulter’s memory, a must see for all.